Thank you for being a Gyazo Teams user so far. 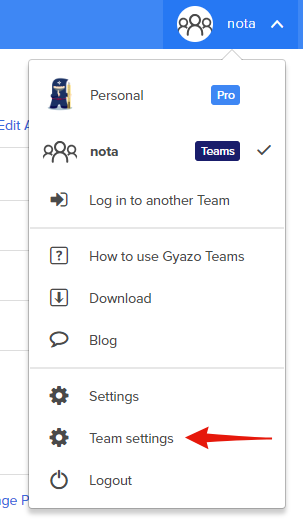 You can cancel your Gyazo Teams subscription by deleting your team at your teams settings page. When you click this "Delete this team" below, your billing for Gyazo Teams will be canceled automatically and no more payment will be made. 1) Only the team administrator can delete the team. 2) You cannot delete your team if any other member is still existing in your team. Please delete their account first. 3) You won't be able to access your teams account after you delete your team even you had some time remaining before your subscription period expires.